Scriptural Reference: Psalms 90:1-17, Psalms 96:1-13. 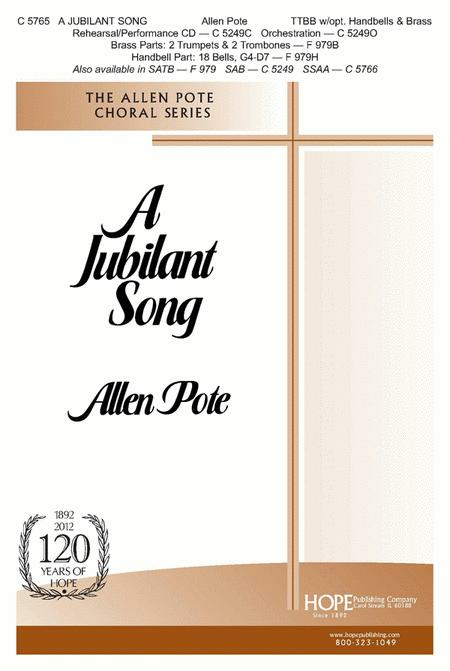 Allen Pote's exuberant top-selling anthem of praise is now available in new TTBB and SSSA voicings. 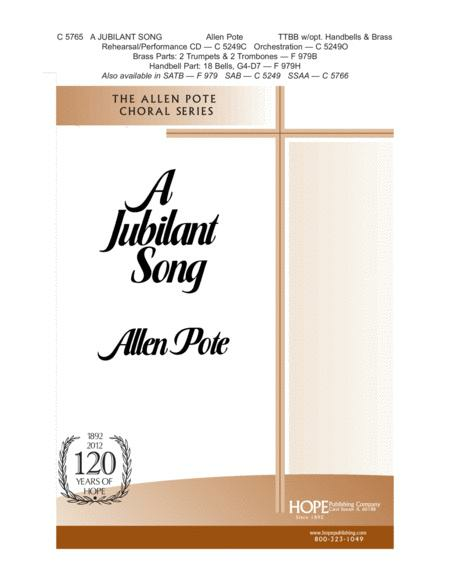 The accompaniment for all the various settings can be provided by keyboard alone, keyboard with optional brass and handbells, or the exquisite orchestration (or CD track) by Mark Kellner, which includes a Conductor's Score and parts for: Piano, Electric Bass, Flute, Oboe, Clarinet, Trumpets 1, 2 and 3, Trombone 1 and 2, Trombone 3 or Tuba, Percussion and Timpani, Harp, Violins, Violas, Cellos and Basses. The Brass packet includes parts for 2 B-flat Trumpets and 2 Trombones.